Standing desks have increased in popularity over the last little while. Its ergonomic nature appealing for people who sit in front of a computer all day long. Studies show that the damage to your back over years of improper posture at a desk is often irreversible. The Oristand is a unique, no-frills creation aimed at addressing the need for an inexpensive standing desk. The cost of the Oristand is $25 USD plus shipping. A couple of you have said: “It's overpriced; it is just cardboard.” While it is indeed “just” cardboard, it is very unlikely that someone could build something as sleek and portable without spending more time than $25 worth. This is actually much cheaper than a conventional standing desk that you can buy in furniture stores. I believe the price tag is justified. Bringing the Oristand with you to different locations is not out of the question. If you have a few various locations where you do your work, folding it is easy, and it can be carried easily in your car. Also, if you want, you can regularly remove the Oristand from your table altogether and hide it along the wall or beside/behind your desk. 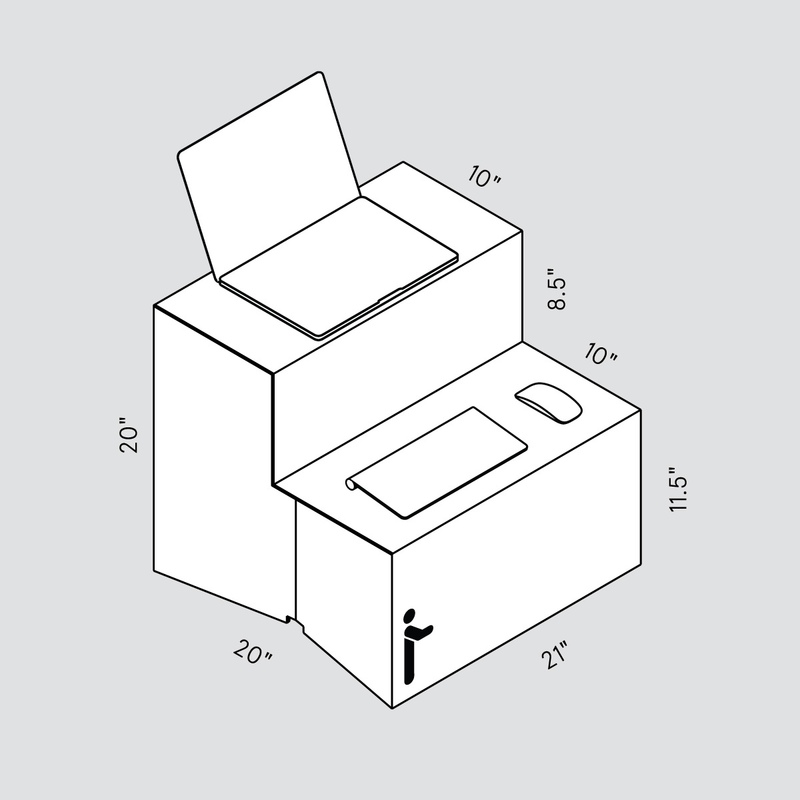 Some of us live in smaller spaces, and thus having the option to easily put away the Oristand is excellent. My wife uses it when she’s been sitting for awhile and wants to transition to standing while working. 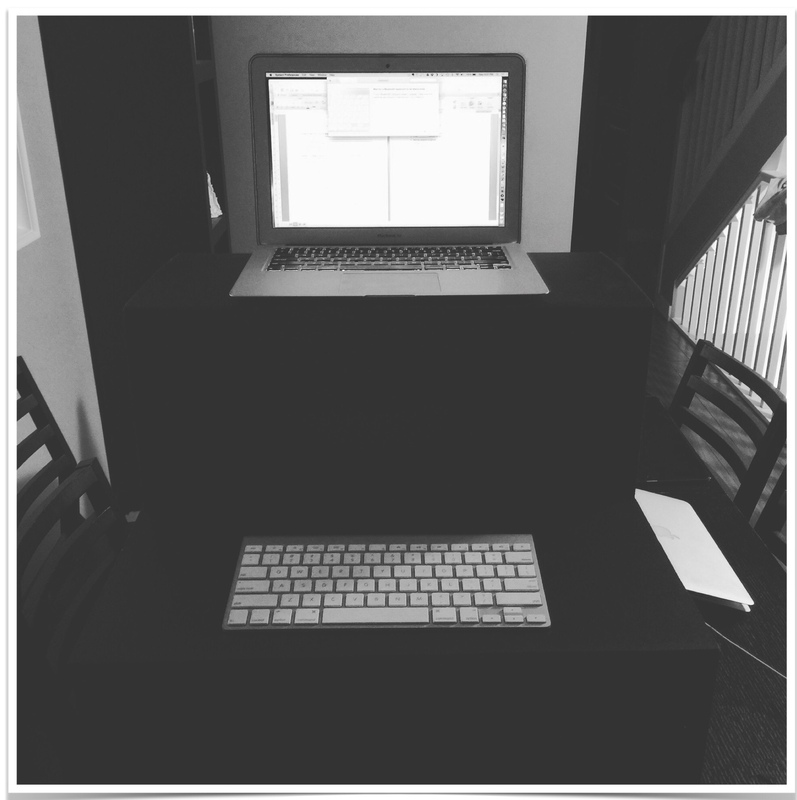 In small spaces, being able to easily construct and de-construct a standing desk can be useful. 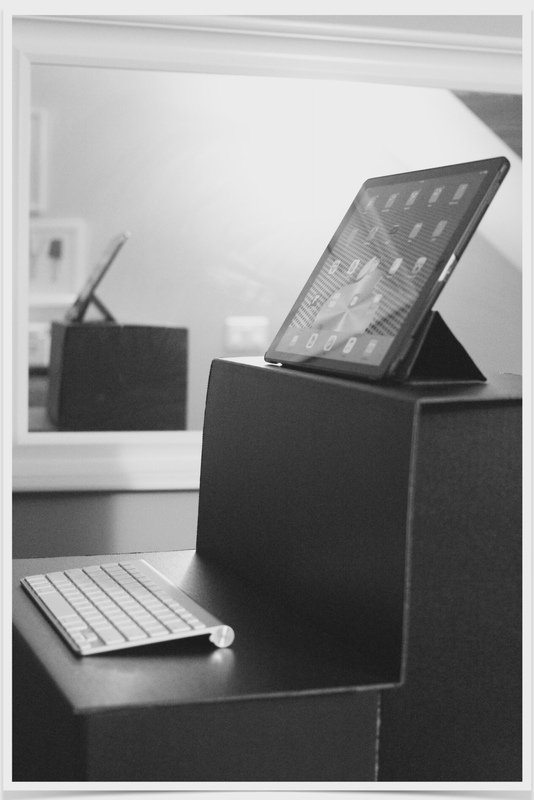 Obviously, the Oristand desk has a shorter term lifespan than a typical wooden or metal desk. Multiple spills of liquids will also shorten its longevity. Stability in the classroom setting: Accidents are always waiting to happen. Train your students to be careful around the Oristand. Dropping your laptop would be a very unfortunate situation. Space is not usually a problem for teachers who have their own classrooms. This will be a welcome addition to any classroom. Although teaching is a profession where we do have a chance to be on our feet a large portion of the day, I think all modern teachers would appreciate owning one of these. I have heard some teachers say that they would get rid of their desks entirely. That being somewhat unreasonable, Oristand would be a reasonable happy medium. 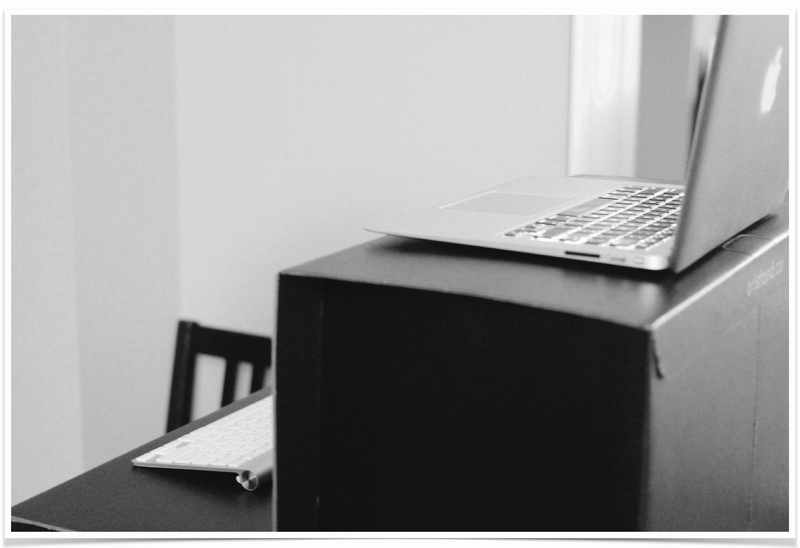 Although it will definitely not hold all your students' essays and assignments, placing a laptop on it is easy. The Oristand can be placed on a table in the classroom to use as a podium for both teachers and their students. Presenters can control iPads or laptops while their presentations are projected at the same time through a projector. 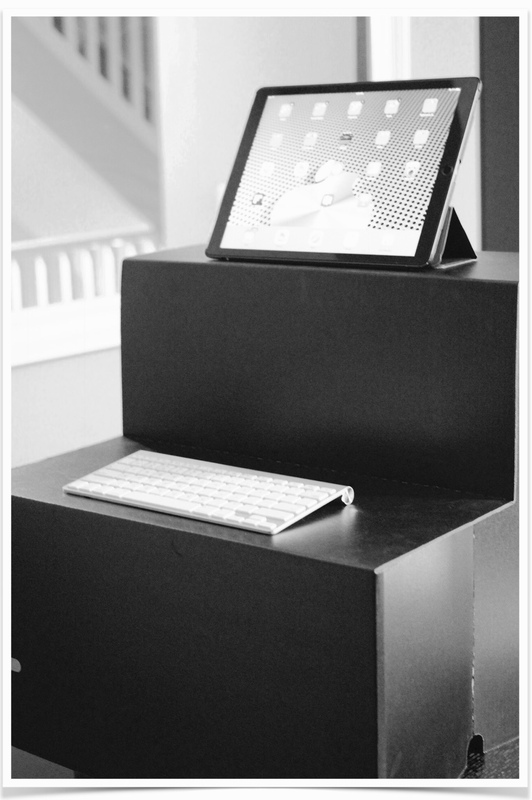 The Oristand can be also used in the classroom as an iPad station for students on the floor or on a table. It would be a good idea to somehow secure it in some way to the table if being used with young children to increase stability. As you can see in the image above, the Oristand is perfect for an Apple keyboard (or similar) plus a wireless mouse. For larger PC-style keyboards, it might be a bit cramped. In my opinion, $25 is a great price for anyone who has ever thought about converting to a standing desk. The ergonomics and the fact that your back will feel better over time make this a great buy. I have one extra white Oristand that I will give away to a lucky reader. Just follow this blog and leave a comment below and I will randomly choose someone. Please leave your location as well! I will ship it anywhere in North America. Keep an eye on the comments in a couple weeks to see if you have won! very interesting… I’ve been in the market for a standing desk option for awhile. Thanks. Can’t wait to share your post with my pre-service teachers and also share in my weekly tech newsletter to College of Ed faculty. Looks like a great solution for very little dollars. I looked into those desks that RAISE AND LOWER, NOT IN MY BUDGET, but $25 may just be doable for many folks. Thanks for sharing. What a great idea! I currently teach Technology and I think this would be really helpful. As a small family of 2, my 12 yo son and I have had our sights set on this great product for several months. We have been waiting (im) patiently for the CAD $ to pony up but so far not so good: for us, living in a +++ expensive city means we focus on the essentials. 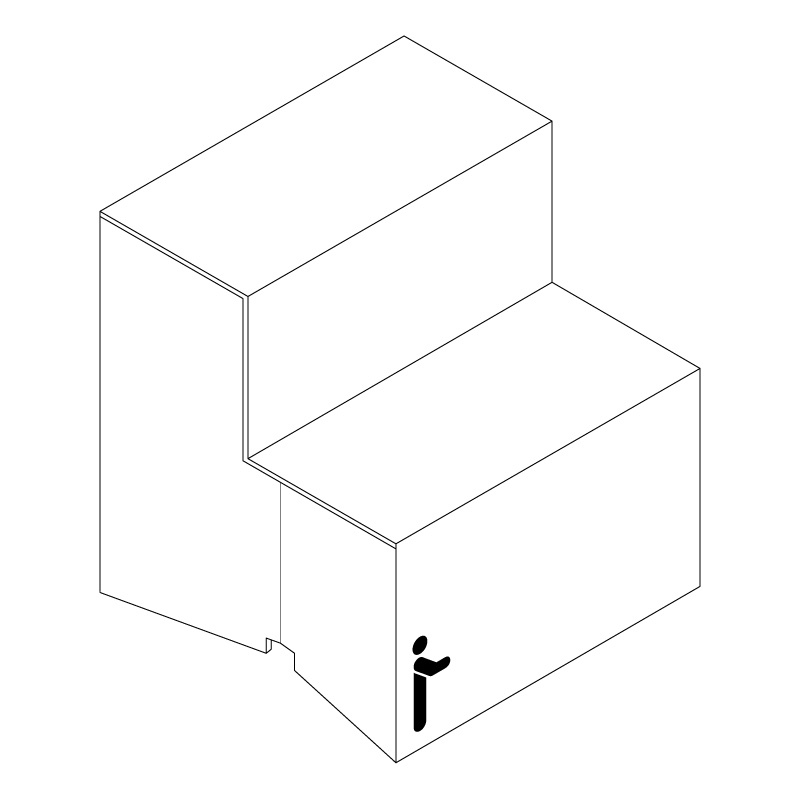 That said, we do believe a stand up workspace option should be considered an “essential”, that changing posture easily and affordably should be the rule not the exception! Thanks for the opportunity to participate in this conversation and go Oristand. Great article, and the Oristand seems great as well !!! I’ll be switching from a desk top to a laptop next year. I always had an uneasy relationship with laptops. I am chronically hunched over and uncomfortable. I have intentionally bought a personal laptop that doubles as a tablet. I wanted to give myself more options when it comes to use. When I do use my laptop ‘properly’, with the keyboard folded out, I find myself working off a counter top and standing the entire time! I am excited about this neat little innovation. And the price certainly doesn’t hurt. The fact that it is light = portable means more options and increase comfort for me. Plus, as a grade 2 classroom teacher, its not like I can afford to stay in one place anyway. At least with its sleek design, I can create an ‘official teacher space’ anywhere I move in the classroom. It sure beats being hunched over and standing next to a counter top! Awesome find! As a grade 2 teacher, I can’t afford to be tied to one place in the class room. I can imagine creating an ‘official teacher space’ anywhere I place the stand. This is awesome, thanks Steve. Looks interesting! Thanks for sharing. My students would love to have a standing desk option! This desk solution would be great for my students who need lots of movement to focus. Very reasonable price. Thanks for sharing. This is a reasonably priced solution. Thanks for sharing!